Whether you are a self-proclaimed pack rat or just can't bear to throw away a few odds and ends around the house, there is a simple fix for your problem. With the right combination of know-how and creativity, you can gather together what may first seem like an eclectic mix of household items and turn them into a crafty project. 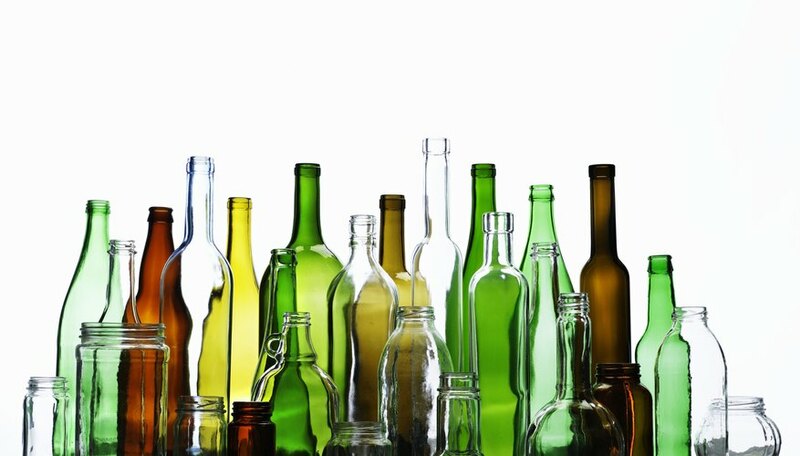 If you are an occasional drinker of wine and other spirits, don't be so quick to throw away the bottle. Wine bottles, in particular, can be transformed into practical and decorative vases that can be used to hold a few fresh flowers. They also make great incense holders. All you have to do is purchase a collection of oil paints from a craft store and some brushes. Run the empty wine bottle under warm water to help remove the labeling and then let it dry. Once it has dried, design your bottles with a decoration of your choice. You might choose to design the bottles according to your home color schemes. Fill with a little bit of water and place a fresh tulip or daisy inside to brighten up your room. It can be frustrating to purchase a cute pair of earrings, only to discover a few weeks later that one of them has gone missing. Don't consider it a total loss. A unique way to put the lonely jewel to use is to create charms for your necklace. If you have a bare sterling silver chain and the remaining earring still has its clasp, you can simply slip the earring through the chain and instantly have a teardrop gem for your necklace. If you find that you have several unpaired earrings lying around, you can continue to change up your necklace to match your outfit. Don't leave the kids out when it comes to reinventing with things around the house. Instead of throwing out empty cereal, rice or oatmeal boxes, make sure they are clean on the inside and tape them shut. If your children enjoy house area play, they will have some great new additions for their imaginary play. For the socks that don't match or fit any longer, you can make some adorable sock puppets by just adding a few buttons for eyes and yarn for hair.